In an interview at once touching and hilarious, Norm Macdonald opens up about writing his memoir, losing it all to gambling, and the chasm between Donald Trump’s public and private persona. Plus, is Norm coming out of the closet? Writer and stand-up comic Norm Macdonald and Larry discuss his new book,Based on a True Story: A Memoir. Macdonald addresses the book’s unusual title, and whether he views his work as fact or fiction. Later, Larry and Macdonald dive into his creative influences and his love for Russian literature. 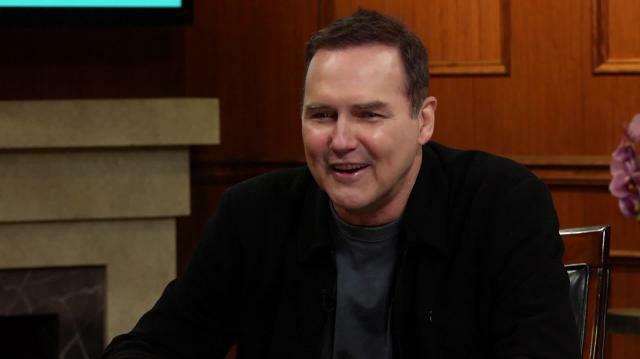 Comedian Norm Macdonald examines how he manages his career longevity, and why he consciously avoids taping comedy specials. Then, Larry and Macdonald address the author’s darker side, and his history with gambling. Norm Macdonald and Larry discuss the presidential election, and the value of humility in the candidates. Finally, Macdonald speaks to his great comedy influences: from Sam Kinison’s early advice on joke telling to Jay Leno’s electrifying stage presence.